Would you like to achieve an excellent online accredited UK qualification, which will demonstrate a high level of skill and knowledge? 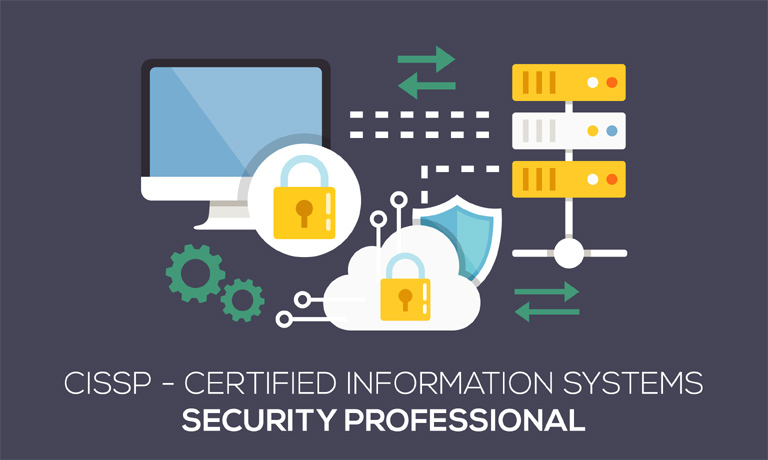 Look no further than this fantastic CISSP – Certified Information Systems Security Professional course. The CISSP Practice Lab will provide you with the necessary platform to gain hands on skills in security. By completing the lab tasks you will improve your practical skills in Security and Risk Management, Asset Security, Security Engineering, Communications and Network Security, Identity and Access Management, Security Assessment and Testing, Security Operations and Software Development Security. These same tasks will help you understand the objectives and competencies required by the ISC2 CISSP certification exam. Learning with Global Edulink has many advantages. The course material is delivered straight to you, and can be adapted to fit in with your lifestyle. It is created by experts within the industry, meaning you are receiving accurate information, which is up-to-date and easy to understand. If you would like to gain an official certificate, you will need to purchase and sit the official exam separately. You can purchase the official exam here: https://www.isc2.org/Certifications/CISSP. Certification Successful learners will be awarded a CISSP – Certified Information Systems Security Professional certificate. Awarding Body The CISSP is an objective measure of excellence. It’s the most globally recognized standard of achievement in the industry. And this cybersecurity certification was the first information security credential to meet the strict conditions of ISO/IEC Standard 17024. Every student of Global Edulink is eligible to apply for an NUS Extra card, allowing you to enjoy great saving by top brands on the high-street and online.